What is the secret in Gotham? 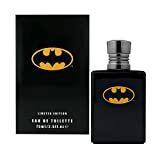 This fragrance for men based on the popular comic TV and movie character of course. Top -Bergamot Lavender Black Pepper CO-2 Mid notes are Cardamom Geranium Warm Patchouli and bottom notes are Vanilla Bean and Musk. This is for 1 pcs. Marmol & Son Justice League EDT Spray 3.4 oz.These superheroes were created as a group of comic characters to fight for what’s right in 1960. Top notes are bergamot and mandarin leaves with mid notes of black patchouli, sheer jasmine and amber. 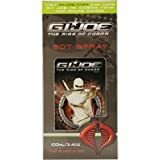 Gi Joe Cobra Cologne By Marmol & Son For Men. Who are you going to want fighting on your side? gi joe! 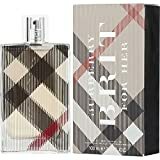 this scent for men was based on the popular movie starring dennis quade.it is anaromatic fougere for tough guys top notes open with a bang of violet leaves crushed thyme andgrapefruit zest. Gunning in the middle are vetiver vanilla bean and orris root with bottom notes of leather cedarwood patchouli sueded musk smoked firewood. With the holiday season upon us, and many of us due to travel, I thought I would compare these popular atomisers. Which one will win?